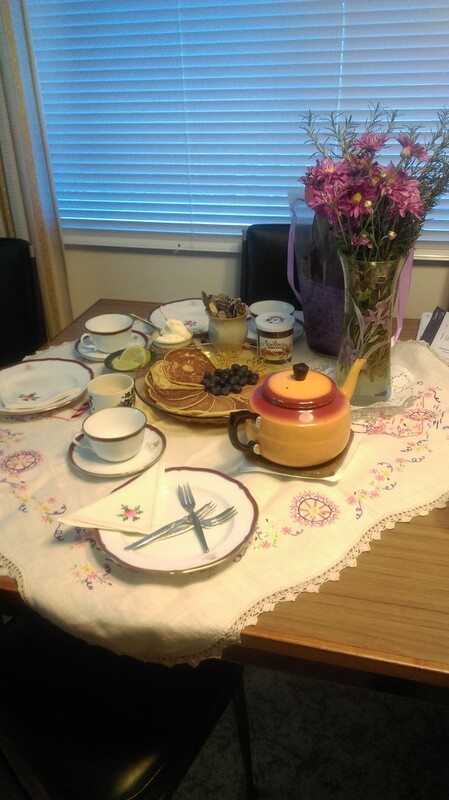 I went over to my folks' house for morning tea with my Mum and Dad. I had freshly-made pancakes, freshly whipped cream and blueberries, lime pieces and raw sugar and chocolate spread too! And there was a lovely hot pot of tea as well! Yummo! That sounds like a wonderful breakfast.